I’ve written previously on this site about how I’ve noticed a number of organisations have advertised their 0818 number in such a way as to lead potential callers to think that the number was a mobile number i.e. 081 8 etc., and potentially might not be as costly to call. I’ve also highlighted how some organisations get it wrong on their websites – for example, flagging an 0818 number as LoCall, and so on. It’s hard to know whether such incorrect designations are intentional or accidental. In a situation where an organisation might make money from people calling their 0818 number (and where it’ll cost callers more, possibly, than calling an 1890 or 1850 number, or a geographical alternative), it’s hard to not think that the “error” is more intentional rather than accidental. 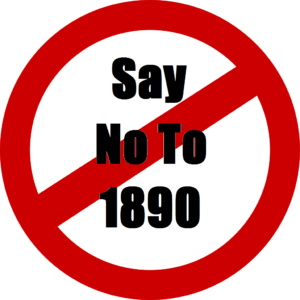 There are, unfortunately, frequent examples of organisations advertising 1890, 1850 or 0818 numbers as “free phone” rather than the correct “LoCall” or “CallSave” designation. This is obviously (to me anyway) intended as an enticement for potential customers to call thinking it’s free – e.g. “sure why not, it’ll cost me nothing”. But, as I said above, it’s not possible to determine motivations one way or another. Out of interest, here’s a listing of websites where I’ve found incorrect designations provided for 1890, 1850, and 0818 numbers. I guess, at some stage, as well as flagging the errors here, I’ll eventually make contact with the businesses concerned to let them know the error of their ways and give them an opportunity to make updates. If you’ve noticed this same phenomenon elsewhere, please let me know and I can update the rogues gallery below.